Unfortunately this week we had some issues. A technical mishap made the second half of the show unusable. We salvaged the first 25 minutes and rolled with it. The episode opens with KRS writing an E-mail suggestion to Tinder and Bumble that is completely taken out of context. An attempt at a comical E-mail leaves him with concerns about being placed on a watch list. Which leads us into another prime example of poor choices and the possible dangers of dating apps. In our ShowerThought segment we ponder: There are no rhymes in sign language, how archaeologists will view the remains of Disney World, the real moral of Rudolph the Red Nosed Reindeer, Mcribs – the deadbeat dad of fast food industry and the ability to ruin families with a simple anonymous letter. Our news segment gets cut way short. But not before we discuss KRS’s favorite guilty pleasure, the rapper Stitches. 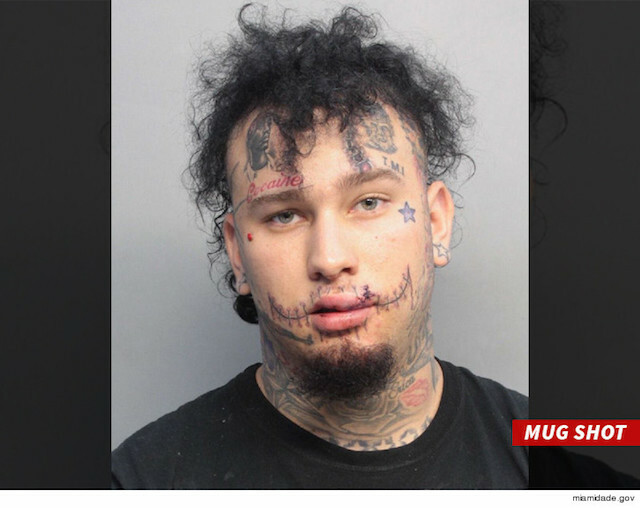 A recent altercation at a Miami night club left Stitches looking for his street cred anywhere he could find it after an embarrassing one punch KO. The rest of the recording was shot. We apologize for the technical difficulties. We promise to form like Voltron and come hard during upcoming episodes.